There are more and more iOS watch applications available each day. Applications for iPhones and iPad vary between timing devices and clocks to specific applications designed for specific watches. 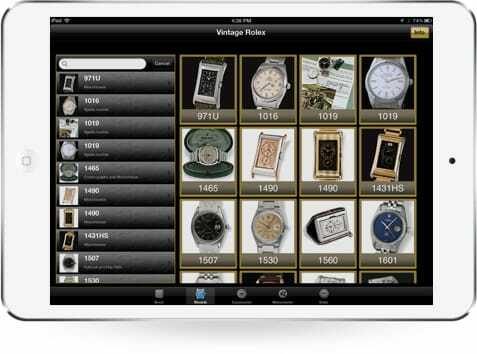 The 100 Superlative Rolex Wristwatch App is somewhere in the middle. 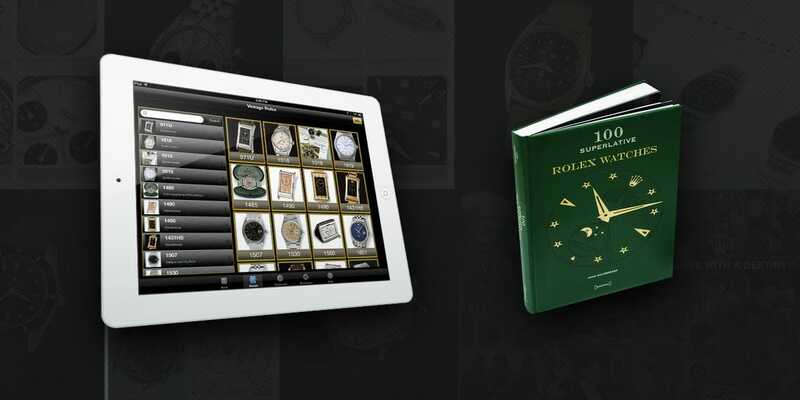 The 100 Superlative Rolex Watches app is designed specifically for the iPad, and is a great accompaniment to John Goldberger’s book of the same name. Additionally, there is an enhanced podcast (with photos) at Jakes Rolex Magazine. John Goldberger’s book was released in 2008 and is a nice leather bound coffee table book that contains countless high-res images rarely seen Rolex models and contains a fabulous “Watches of Destiny” introduction by Giampiero Negretti. The iOS app is structured very similarly as the book, but the advantage of the iOS app is that it further breaks down the book into five sections that is searchable by model number, caseback, movement, and dials. 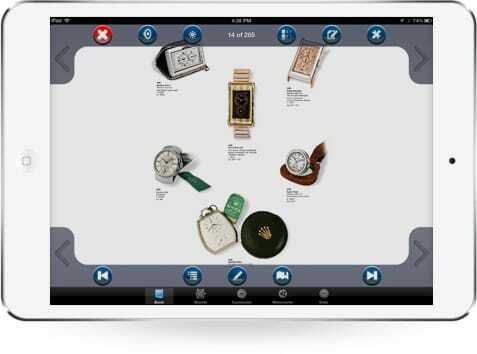 Unlike the two dimensional coffee table book that one has to flip through page-by-page, the 100 Superlative Rolex Watch iOS app allows you to select a dial, then it will list the watch and case for which that particular dial was designed. This is a great feature to help insure that the vintage watch that you might be examining has the correct face, caseback, and movement. When viewing individual watches, turning the iPad from landscape to portrait automatically enlarges the image to full screen. The iOS app also contains the text of the book itself but the only downside to the app is that the “Watches of Destiny” introduction is somewhat pixilated when viewed on The New iPad (iPad 3). The iOS app does have the ability to type in notes about particular watches, as well as a highlighter to bring attention to particular aspects of a specific model. Both the notes and the highlights can be easily removed. The iOS app itself is a 267MB download and designed for iOS 4.3 on the iPad or later. This app does not run on an iPhone. The 100 Superlative Rolex Watch book is a little north of $100 on Amazon, but the iOS app is $24.99 and it contains the same images an articles as the book. Although this app did crash on a couple of occasions, it is a great portable alternative to the coffee table edition, and the search function certainly makes the app stand out.